roasted corn, tomato and hatch chile soup | Is there any wine left? Hatch chile season just started and we’re already taking full advantage! Hatch chiles are peppers grown in the Hatch Valley along the Rio Grande in New Mexico and are only available from mid-August to mid-September. They are delicious and have a mellow heat that makes them easy to add to lots of dishes. 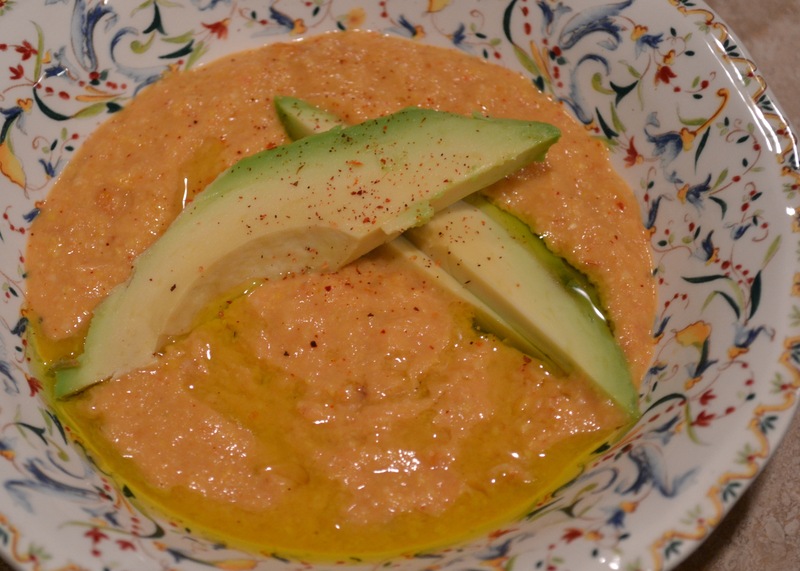 When I saw a recipe for roasted corn soup with red bell peppers, I decided to substitute roasted hatch chiles and make a few other changes so the hatch flavor could stand out. 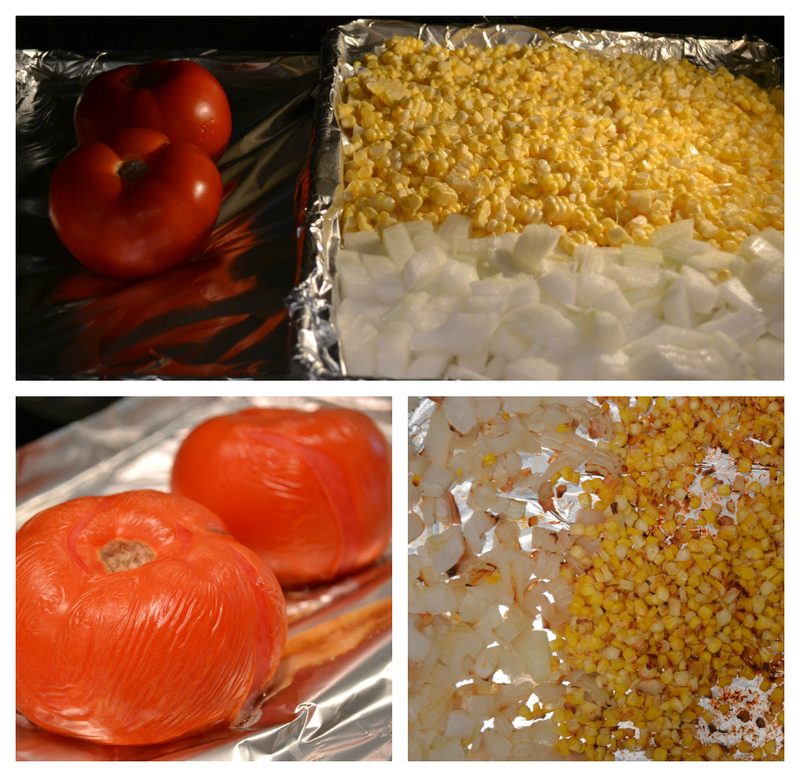 Start by roasting the tomatoes, corn, onions and chiles. Place the tomatoes on a cookie sheet and cook at 375 degrees F for 25 minutes, until their skin starts blistering. Roast the corn kernels and onions for about 35-40 minutes, stirring throughout cooking, until they start to char and get black spots. Note: during hatch chile season, our grocery store roasts the peppers everyday and sells them still warm. YUM and so easy. If you don’t know how to roast peppers, here’s a good tutorial. Be sure to remove the skins from the roasted peppers before using in the soup. Remove the skins and the cores from the tomatoes. Add them (with their juice) to a dutch oven, along with the minced garlic, corn, onions, hatch chiles, and chicken or vegetable broth. Bring the mixture to a boil, then lower the heat and simmer for 15-20 minutes. Stir in the salt and chipotle seasoning. Using an immersion blender, blend the soup while slowly pouring in the cream. Taste for seasoning and adjust as necessary. 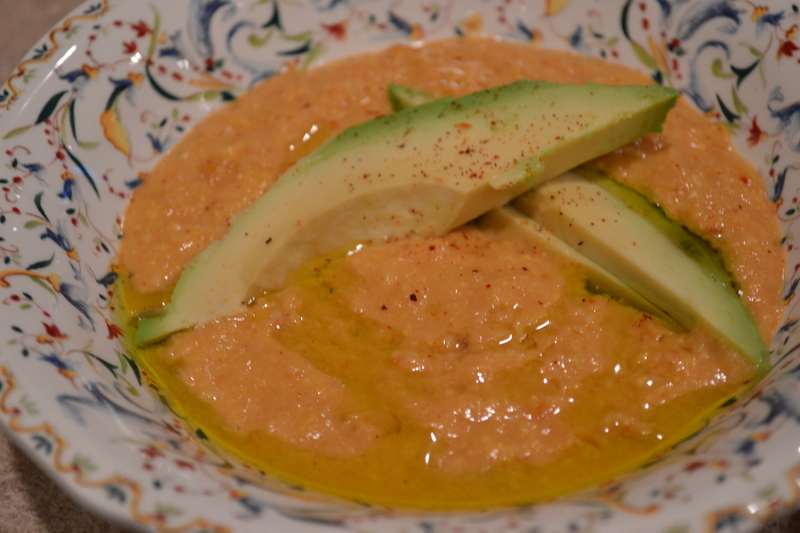 Ladle soup into bowls and garnish with a drizzle of olive oil, avocado slices, and chipotle seasoning. No worries if you can’t get your hands on any hatch chiles – roasted anaheims or poblanos would be great in this soup. I know I’ll make this year-round so I’ll definitely be using substitute chiles! Place the tomatoes on a cookie sheet and cook at 375 degrees F for 25 minutes, until their skin starts blistering. Roast the corn kernels and onions for about 35-40 minutes, stirring throughout cooking, until they start to char and get black spots. Roast the peppers under the broiler (turning every few minutes) until they are blistered and black on all sides. Peel skins from tomatoes and peppers. Remove the cores from the tomatoes and add them (with their juice) to a dutch oven, along with the minced garlic, corn, onions, hatch chiles, and chicken or vegetable broth. Bring the mixture to a boil, then lower the heat and simmer for 15-20 minutes. Stir in the salt and chipotle seasoning. Since we’re not FB friends, I’ll share a tip I shared on there today — if you don’t have an immersion blender, you can use your blender but DO NOT put the top on. The steam WILL make it explode. I speak from experience. Hold a dishtowel over the top so some of the steam can escape while blending. Can’t wait to hear how it turns out Lauren!